Their report is included here and will be made available along with illustrated grass identification folders at the entrance to the Millennium Green for the benefit of visitors and students. Grass identification as well as the identification of other flora and fauna in the Millennium Green is expected to be an on-going project. 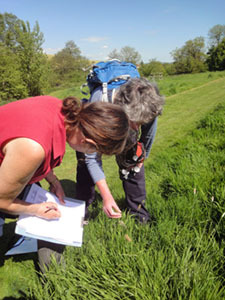 On 13th May 2015 two surveyors walked the Millennium Green and recorded the plant and grass species. 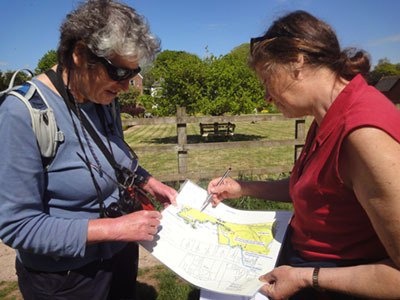 The area was divided up into the main grassland area, wet area, scrub area, the peninsula and the re-seeded wild flower area. The hedges and boundaries have yet to be completed. plants seen within a given area. It is generally recognised that recording plant cover using the DAFOR scale is extremely subjective. If a species appears to be intermediate between two categories, it is generally assigned to the lower category, being affected by a number of factors and in particular recorder bias.